I wish people still wrote books this good!!! 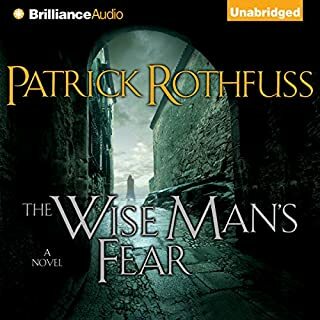 Had me captivated from start to finish, truly an original gem. This is a good collection of the classic Conan stories. The introductions are interesting and add some welcome background and critique to each story. The entire collection is quite long, and I found the stories blended together if I didn't take a break between them. 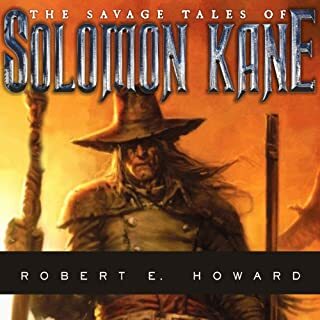 The narrator is good but I don't think his voice and style were a good match for the Conan stories. 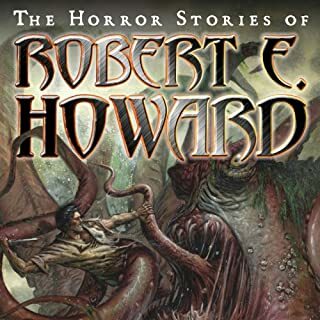 Robert E Howard has to be the most underrated author who ever lived! His skill as writer is unmatched whe it comes to painting the scene in your head. 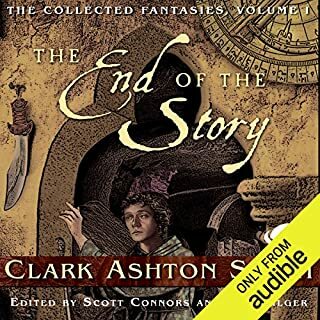 The narrator does a wonderful job except in The hour of the dragon which for some reason he uses a different voice for Conan than all the other stories!? I assume it is because it was the first story recorded and then the voice was changed . Other than that the narration is really great. 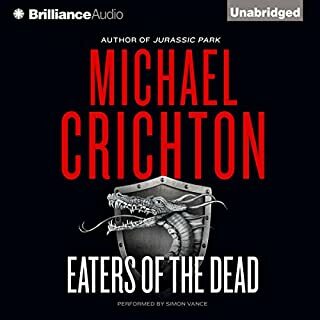 Highly Recommend this for any Conan fan. 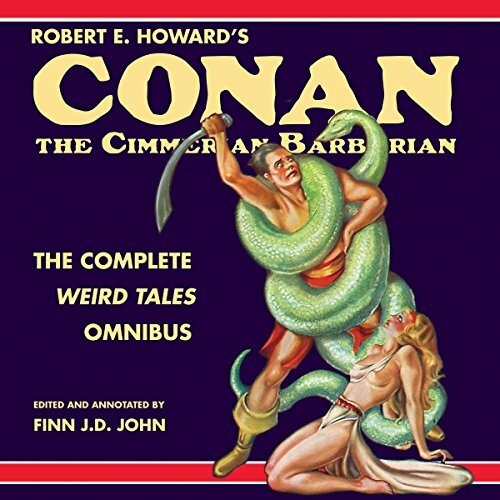 What did you love best about Robert E. Howard's Conan the Cimmerian Barbarian? Evocative reading and great stories. Excellent introduction to Sword and Sorcery as well as Pulp Classics. 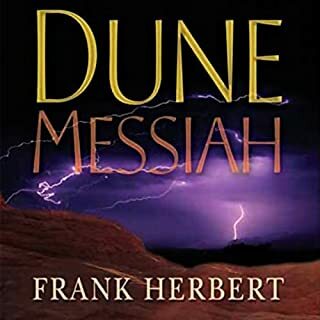 What does Finn J. D. John bring to the story that you wouldn’t experience if you just read the book? Finn J.D. John pours his heart into the Conan mythos. Listening to 35 hours of Conan would be enjoyable but even a Barbarian needs sleep. D&D Fans! You'll love these stories! 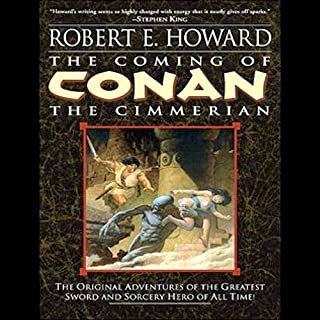 If you could sum up Robert E. Howard's Conan the Cimmerian Barbarian in three words, what would they be? 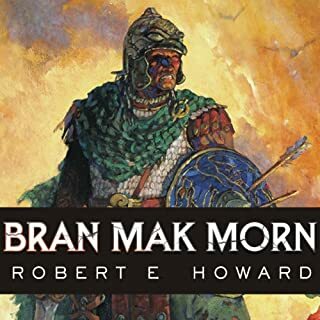 What other book might you compare Robert E. Howard's Conan the Cimmerian Barbarian to and why? 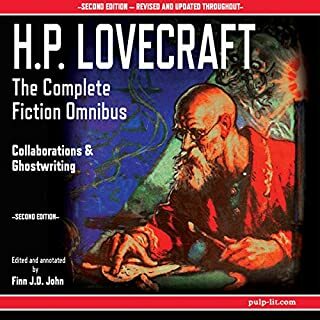 Howard was accused of "stealing" ideas from Lovecraft and simply placing them in a fantasy setting. I did not get that impression at all. 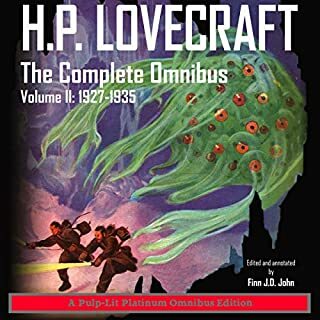 The two are quite different - with the notable exception of Howard's frequent use of demonic, "Lovercraftian" monsters that were obviously drawn from those Cthulhu sources. 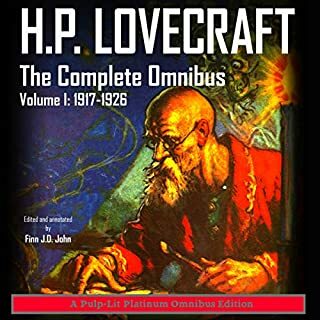 Howard reads more like the works of Fritz Leiber or R. A. Salvatore. Enjoyable and easy-to-read; sometime humorous; with simple, sometimes obvious "twists". This is a collection of mostly short stories. I think "The People of the Black Circle" was most engaging, but really no story was a disappointment. 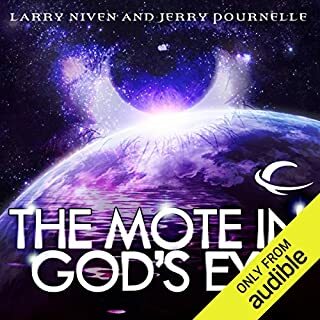 I wouldn't say I was moved - the book isn't that deep. But prior to each chapter the narrator provides information about the story. It's publication history, what was going on in Howard's life at the time, and historical critical reception. These prefaces provide a great setup for the story and add a lot as you listen. If, like me, you're a fan of Dungeon's & Dragons, I think you'll find another level of enjoyment here. Gary Gygax said in interviews that these stories were a source of inspiration and often direct input for content in the original version of D&D. If you know that game well, it is easy and satisfying to spot those influences. They also offer great ideas for encounters and stories in your own D&D games. 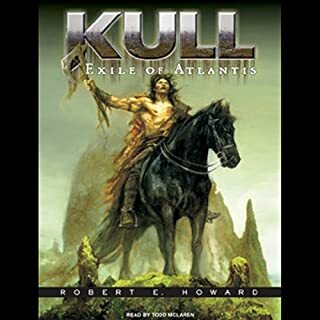 a great according of Robert Howard's works. thank you Mr. Finn cometary and narration are appreciated. Sad that Mr Howard isn't here to hear it. Although a collection of seemingly disjointed stories you still get a vivid picture of the epic character that is Conan. I believe Conan to be the greatest of the anti-heros. Formulaic but good enough to at least listen. 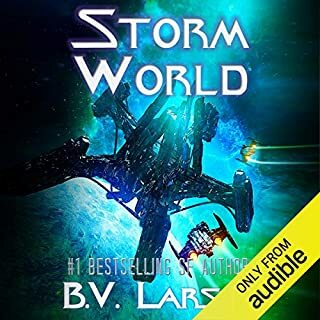 Finn J. D. Jhon's Narration was decent enough, if not sometimes a tiny bit hard for me to follow. 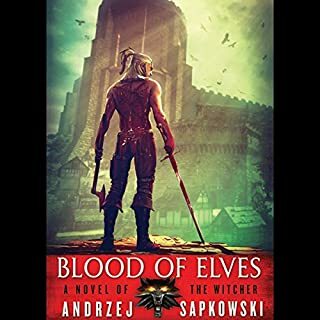 The stories were quite hit or miss, but Finn's parts explaining E. Howard's life situation when the stories were written made me put them into context as regards to the authors Life. 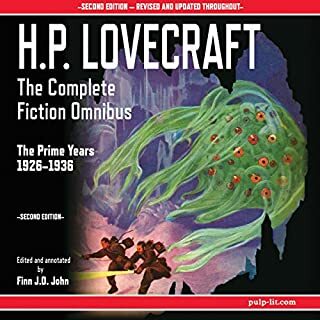 I'd recommend the audiobook still, perhaps not as a first purchase as I enjoyed E. Howard's writing style even if the stories, as explained by Finn in the biography parts were extremely formulaic. this is where the roots of fantasy are watered. An epic group of tales that helped make fantasy what it is today. 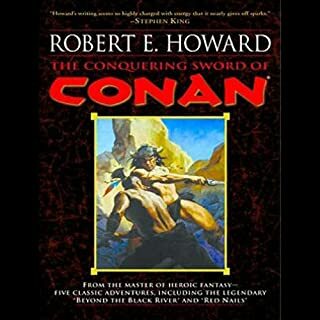 What made the experience of listening to Robert E. Howard's Conan the Cimmerian Barbarian the most enjoyable? The voice acting was great, and complemented the stories very well. The influence Conan has on modern fantasy in all its incarnations is seminal. "The Hour of the Dragon" should be considered one of the greatest high fantasy stories ever. "The tales that inspired generations, of the man who would be barbarian, conqueror, king." This is the must must have for any fan of sword and sorcery. Finn J.D. John's performance and analysis of the work is superb. John really brings Conan to life and I cannot image Conan in any other voice. This should be required reading for any player of dungeons and dragons!